Prosper from change by spotting trends. As the world’s faster and faster pace is stimulated by the introduction and advancement of new technologies, we are swamped by many types of inflation that we will be looking at in a series ahead. Each of these inflation forms creates its own problems AND opportunities. Parts of Florida benefit from natural resource inflation as water become scarce. 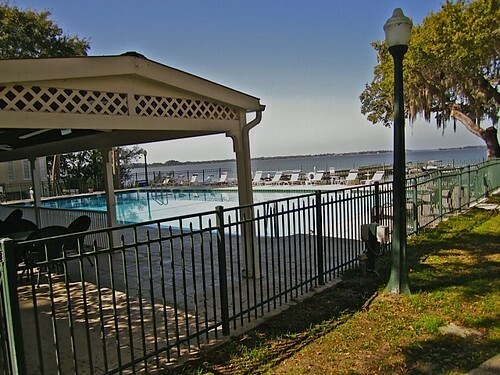 Lake Dora shot from Lakeside Inn pool. Lake County, Florida has approximately 1,400 named lakes. Near our home is Sugarloaf Mountain, the highest point in peninsular Florida, at 312 feet (95 m) above sea level. Florida’s problems create some extra special benefits. Take for example how Florida was impacted by money inflation (causing a real estate bubble) and how today it appears to suffer today from a resource inflation… too many homes, too few people. Excerpts from a March 18, 2011 CNNmoney.com article entitled “Nearly 20% of Florida homes are vacant” shows why when it says: On Thursday, the Census Bureau revealed that 18% — or 1.6 million — of the Sunshine State’s homes are sitting vacant. That’s a rise of more than 63% over the past 10 years. The vacancy problem is more dire in Florida than in any other bubble market: In California, only 8% of units were vacant, while Nevada, the state with the nation’s highest foreclosure rate, had about 14% sitting empty. Arizona had a vacancy rate of about 16%. In Florida, the worst-hit county is Collier — home of Naples — with a whopping 32% of homes empty. In Sarasota County, 23% of the housing stock sits vacant, while Lee County (Cape Coral) has a 30% vacancy rate. And Miami-Dade County has a vacancy rate of about 12%. The housing recovery will take years, perhaps many years, to complete, according to Ingo Winzer, a housing market analyst and founder of Local Market Monitor. “It will take about eight years just to put the vacancy numbers back into the single digits,” said DeKaser. The inventory overhang has sent home prices plunging. The median price for homes sold in January was just $122,000, according to the Florida Association of Realtors. That was down 7% from 12 months earlier and less than half the price at the peak of the market. Winzer thinks prices in Florida will drop even more, another 5% in 2011 and 3% in 2012. “Even after that, they’re not going to rebound, they’ll just sit on the bottom,” he said. Celia Chen, a housing market analyst for Moody’s Analytics, is also downbeat in her forecasts for Florida. Not only will prices fall another 11%, she said, but the bottom won’t hit until mid-2012, about a year later than the nation as a whole. Some metro areas won’t get back to their pre-recession peaks until long after the present owners are old and gray. Here is why this problem creates opportunity. First, most people think of Florida. 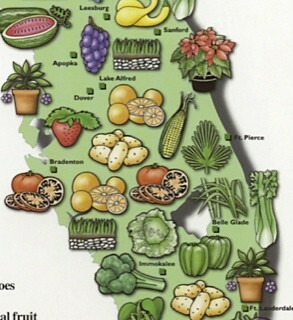 I see Florida as two places… South Florida and agricultural Florida. Note all the counties above where the big vacancy numbers are shown are southern Florida states where retirement and second home residences were the big industries. These areas along the coast attracted much more speculation than agricultural Florida (where Merri and I invested in). Real estate prices did not fall anywhere as much nor are vacancies anywhere as high. Plus the economy here is based on global tourism (Disney et al in and around Orlando) and agriculture. Despite the slowdown and high vacancy rates in some parts of Florida… excerpts from a recent USA Today article entitled: “Florida’s 70-year growth streak could not be broken despite a dramatic downturn in recent years” shows that there may be pockets of special opportunity. The article says: Most of Florida’s largest counties and cities grew more rapidly than the nation since 2000, according to 2010 Census data released Thursday. Despite record foreclosures and high unemployment, Florida still grew 17.6 percent to 18.8 million, well above the 9.7 percent national rate. It’s a testament to the runaway growth the state enjoyed in the early 2000s, which slowed in 2007 and came to a screeching halt in 2008. Annual growth that had peaked at 2.3 percent in 2005 fell to 0.5 percent in 2009 and 0.7 percent in 2010. Flagler County, north of Daytona Beach, was the fastest-growing county, up 92 percent to 95,696. Sumter County, home of The Villages retirement community in central Florida, grew 75 percent to 93,420, and Osceola County, just south of Orlando, grew 56 percent to 268,685. Lake County, where we invested, is surrounded by these fastest growing counties and has several added advantages. One advantage is Lake County’s agricultural economy. A March 21 USA Today article entitled “Economic expert sees trouble ahead; Housing market municipalities may be in for a rough ride” by Maria Bartiromo shows how agricultural land has already become increasingly profitable. Here is an excerpt from this article: Meredith Whitney seems to be softening her concerns about a looming muni meltdown as politicians across the country address fiscal challenges more aggressively. She says a new area of strength is emerging in one part of the country where debt was not an issue: the agricultural belt. There are parts of the economy that are doing very well. As a food producer, the economy in the middle part of the country’s doing well. The ag-rich states are going to be Kansas, Missouri, Iowa, Texas to a certain extent because it is a massive beneficiary of the price of oil. It’s the central part of the U.S., you can almost draw a triangle around it, what I call the emerging markets of the U.S. It speaks to how dynamic and strong the U.S. economy really is. It’s just shifting. The U.S. is a composite of many different economies. Indeed and Florida is a composite of many different economies as well. Map from plant medicine program at University of Florida (linked below). This map shows Lake County’s economy enriched by citrus, plants, grapes and vegetables. The citrus economy in central Florida has a special problem that may create even more opportunity. Excerpts from a January 19, 2011 NPR.org article entitled “Abandoned Citrus Groves Produce Problems In Fla.” by Greg Allen show another reason why there is special opportunity now. Here is an excerpt: Florida is a national leader in orange and grapefruit production. But in the past few years, landowners have given up on more than 100,000 acres of citrus groves, which have become a threat to producers of the state’s signature crop. The abandoned groves are breeding grounds for pests and diseases. Indian River, on Florida’s Atlantic coast, is known for its world-class grapefruits, oranges and tangelos. This time of year, many trees are still heavy with fruit. But there are also many groves that aren’t doing so well. Citrus growers have always had to fight disease. But in recent years, here in Florida, it has seemed that disease is getting the upper hand. Most recently, two diseases — canker and citrus greening — have been very difficult to control, requiring more care and nearly constant spraying. Those diseases helped push many producers out of citrus. But Christine Kelly-Begazo says there’s another compelling factor: falling land prices. Kelly-Begazo is an agriculture extension agent with the University of Florida in Indian River County. She says during the housing boom, speculators paid top dollar for citrus groves. Citrus producers in Indian River have begun a program to bulldoze and burn trees in abandoned groves. But it’s costly and depends on the cooperation of sometimes absentee owners. This is the latest of many challenges for an industry that has long grown one of Florida’s most lucrative crops. Consider this. Most investors think Florida real estate is in trouble. It is… some of it. Yet this broad paint brush thinking masks over the fact that ag rich areas have extra potential. Ag economies are growing rich and parts of Florida are very different… because they are mainly agricultural. Some parts of Florida have abundant water… great agricultural potential and offer extra opportunity because developers who planned to shift ag land to residential property cannot now do so. See how I followed this advice myself and how my income on oranges doubled in two years in the story of How to Add Goodness AND Make a Profit. This is the type of property that Merri and I invested in and now another.potential demand is on its way… German buyers. But that’s another story for another message. Until then, good investing. 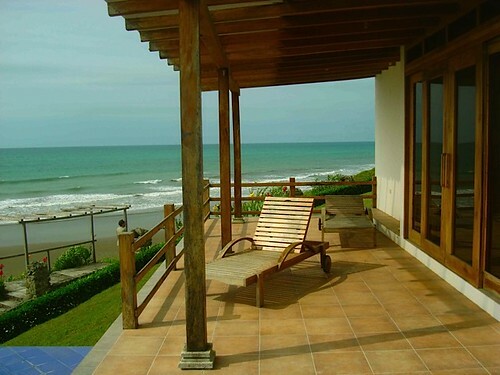 See details about Ecuador real estate prices here. Read Abandoned Citrus Groves Produce Problems In Fla.